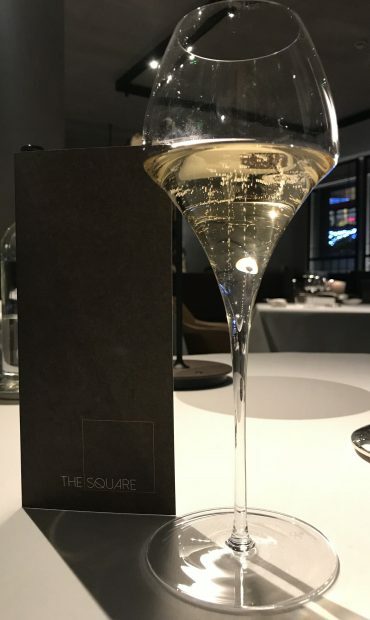 The luxurious The Square restaurant is now owned by Marc Restaurants. 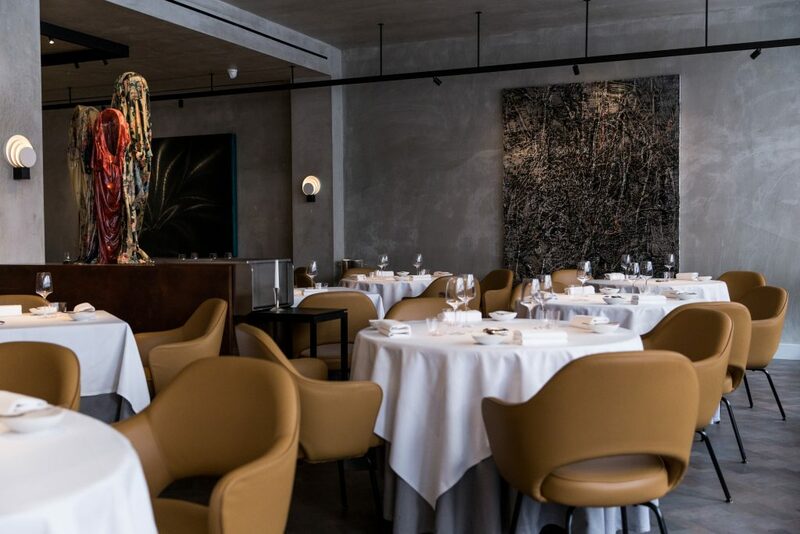 The location, once headed up by chef Philip Howard and restaurateur Nigel Platts-Martin, is now home to executive Chef Clément Leroy after Marlon Abela redeveloped the restaurant in 2016. 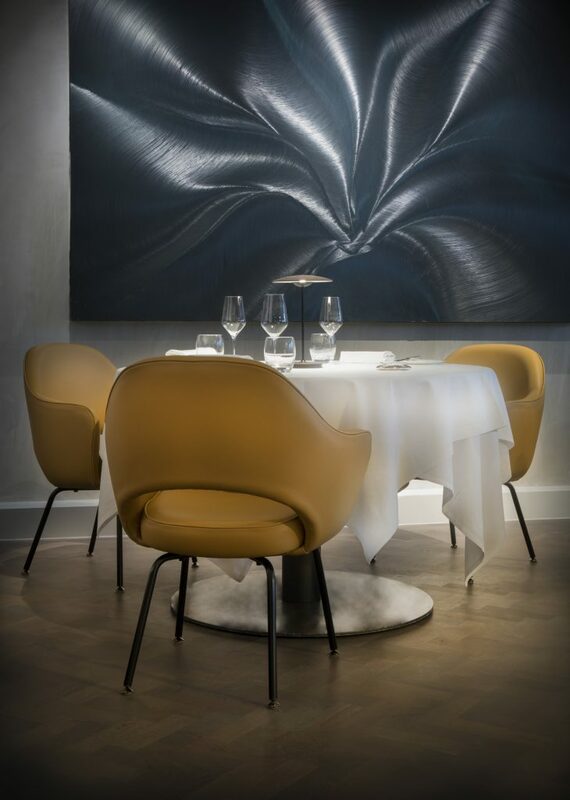 The new reincarnation provides diners with modern haute cuisine in a stunning contemporary art-filled venue in Mayfair, London. 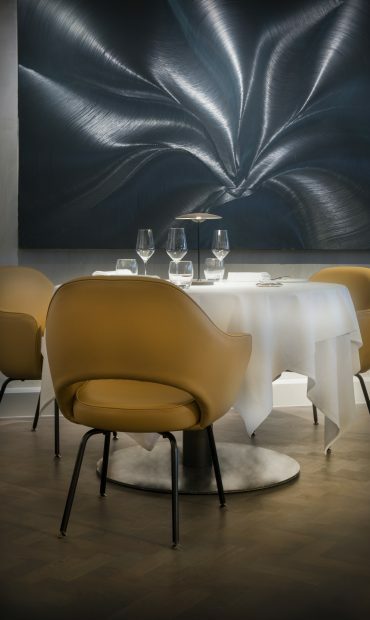 Taking in the wonderful views of the modern, luxurious and sophisticated art setting, including a centrepiece by the designers Oscar Murillo and David Altmedj, my guest and I were welcomed and shown to our table. 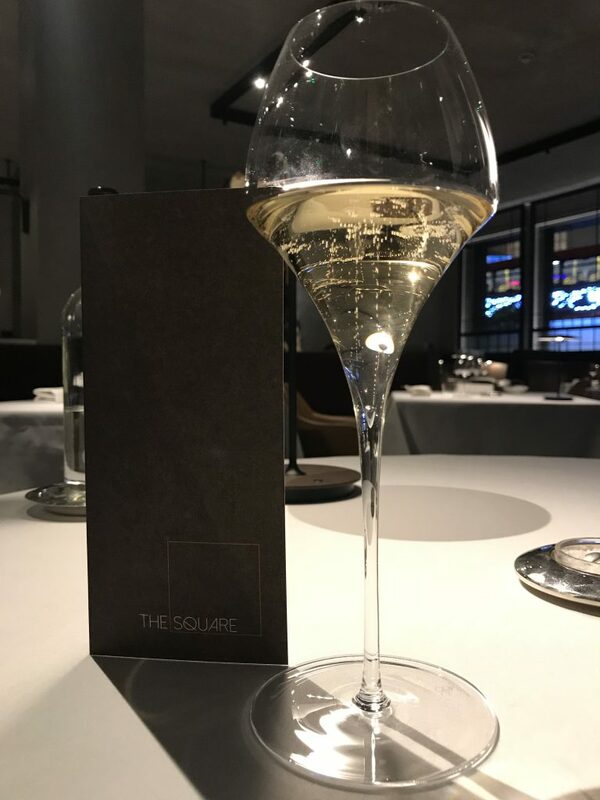 The new menu at The Square offers four courses a la carte at £95, or as a tasting menu at £135. We had opted for the tasting menu with a few changes made to account for our allergies. Immediately our appetites began to be aroused by the visuals of the arrival of small plates that gave off amazing aromas; we were very excited to indulge and begin our spectacular food journey. A striking array of five amuse bouche was placed before us consisting of; Smoked Haddock Tartlet with Avruga Caviar; Mushroom Consommé, which was earthy and rich but light making it a lovely balance to the palette; Coleman’s English Mustard and yellow beets marshmallow, the texture of this was unusual but pleasing, the flavours rich with a hint of the mustard; Butternut squash crisp and Dashi crisp with cauliflower puree which I especially loved. 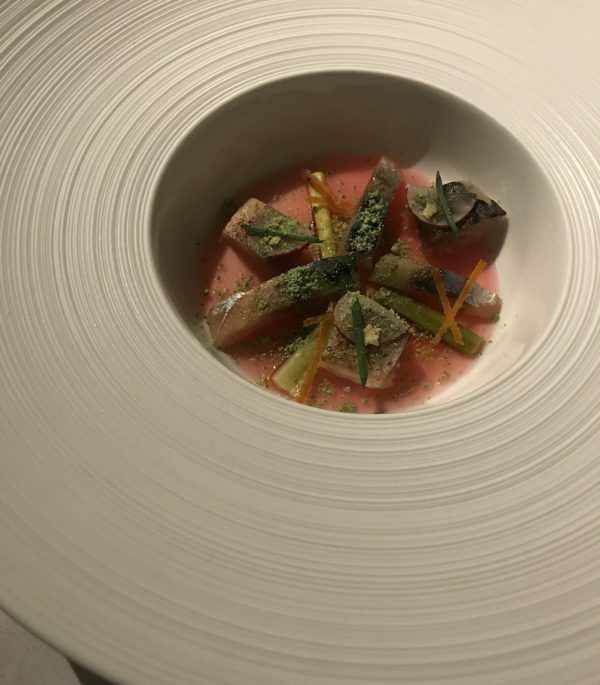 The dishes to start with were all very different and exceptional, pleasing to the eye, and served in the style matching the modern and creative decor of the restaurant. The tart was light but full of wonderful sea flavour. The Consommé and watercress had a velvety earthy tone and the mushroom flavour was not too strong; the combination of the watercress was a lovely balance to the palette. Continuing on with the soft textures, the marshmallow combination was unusually pleasing and thankfully with only a light hint of the mustard. The Butternut Squash and Dashi crisps added a bit of bite to the textures and the tastes of nutty and slightly salty were a lovely addition and tied all of the little plates together. Andrea and Leonardo were on hand pairing our dishes with amazing wines and keeping us hydrated during the meal. It is interesting to note that he restaurant offers around 2500 wines and our sommeliers used their amazing insight to match our dishes perfectly to personally selected wines that were to our liking. Monica was also on hand to guide us through the wonderful dishes and kept us informed about the delicacies. We were already excited about what was next to come. The next courses consisted of flamed Mackerel, Orkney Scallop, Red Mullet and lamb. The scallop was to die for; I did not want the experience to end. An amazing combination of sweet and savoury and light meaty flavours was brought to life with the coffee and Masala foam. The meal on whole could not have been more perfect, though we were taken back by the lamb course we were served. The texture of the meat was soft and rich but adding a few crunchy greens or accompaniments could have given the dish a bit more life. 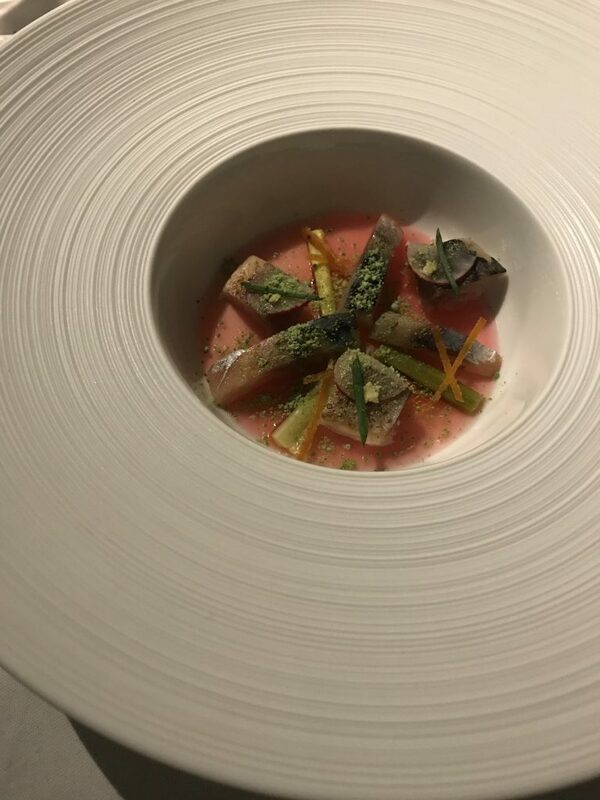 The dish just did not seem to have the wow factor or creativity as the ones that preceded this course, which was a shame as usually the main course is the stand out dish. 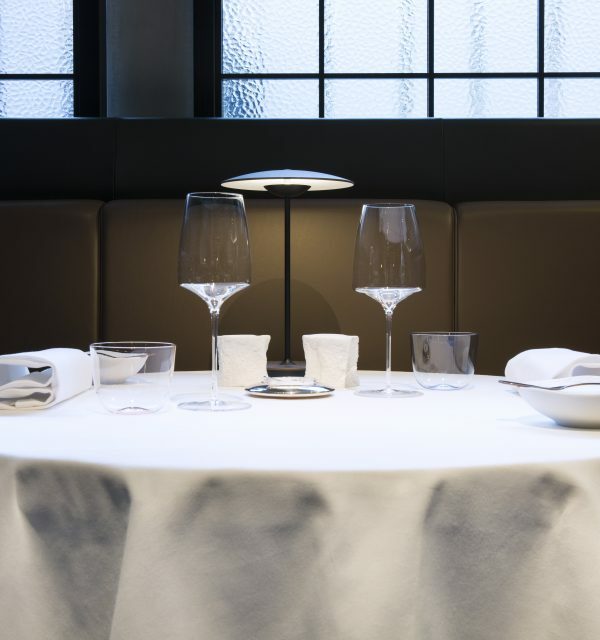 I must make it clear though, we were impressed by the last minute changes we made to the menu due to allergies however we would have preferred to have had a beef or even another seafood option to close this superb dining journey, but such is life with seasonal tasting menus. Lastly, it was time for dessert. You may have read in my other reviews that I am not really a fan of puddings, so when I was presented with the Salt-crusted Pineapple I will have be honest and say I still was not convinced. Presented in a very simple way, it would be great for someone who loves a very sweet ending to his or her meal. My dining partners dessert was much more appealing; the St John’s wood honey with grapefruit and sweet potato was light and delicate and beautiful in presentation, perfect for those that prefer less sweet options to finish a meal. Prior to the dessert, we had a mango sorbet and lemongrass foam. I did really enjoy the spicy and sweet taste, it was very fresh and cleansing and worked well after all of the rich flavours we had already enjoyed, maybe next time I will forgo dessert and ask for more sorbet? The highlight of the evening was the cheese cart (no surprise there as we all love cheese at BBB), the trolley was literally hijacked from the diners seated next to us as we smelt the creamy delights that awaited us on the cart! After trying several cheeses on offer I have decided my new favourite cheese is Reblochon, a soft washed-rind and smear-ripened French cheese made in the Alpine region of Savoy from raw cow’s milk, it was delicious! I have to mention that my guest and I both had very unusual allergies, mine being no chicken and eggs, but the team were able to accommodate this very professionally and swiftly despite the short notice given. It was comforting to know that we would still be able to enjoy the award-winning creativity and flavours without having to lose out because of our dietary needs. All in all our dinner was good however there was a sense of atmosphere lacking on our visit. The restaurant was very quiet except for a few tables of business gents, so there seemed to be more staff than patrons. Maybe as time goes by people will forget the old Howard Square and come to love the new incarnation, for us humans do hate change but change is necessary, and sometimes for the better. 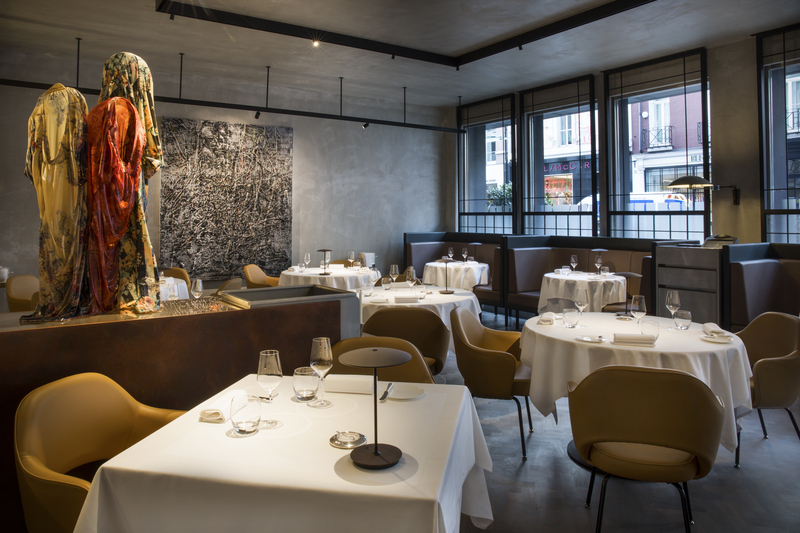 The Square might not yet be an icon on the food map of London but I found it exciting and modern and I look forward to seeing how this restaurant evolves.